Tuesday 4th June 2019, 7.30pm. Your attention is drawn to rule 6(h). Congratulations to Eric Gallacher - Writtle F.C. getting players to the games. Eric joined Writtle Football Club in 1969, Writtle Football Club would become his Club and is still with them today some 50 years of loyal service. Writtle Football Club has a strong history in Essex, they in season 2001~2002 celebrated their centenary. Eric was a good player a popular and important member of the team his skills were recognised not just at Writtle Football Club. In the early 1970’s Eric was selected to play a number of times for the Essex Olympian League Representative team. He was also selected for the Essex County Football Association representative team. Earning him an Essex County Cap in 1970 (awarded to players who have more than 6 appearances) and was part of the Essex CFA team, that won the Southern Counties Junior Cup competition in that season. Eric became Writtle Football Clubs 1st team player manager in season 1974~1975 and continued to play for Writtle until 1984 when an injury forced him to stop playing competitive football. He then took on the fulltime role of first team manager in season 1985, until 1989. Then In season 1990 he managed Writtle third team and the Writtle Sunday team. As with most Clubs there is always a small band of volunteers who give up their time, due to their passion for the game. Eric is certainly one of these volunteers who has served and still today serves his Club. Eric became Chairman of Writtle Football Club in 1984 and is still its Chairman some 35 years in that position. Has is also the groundsmen at Writtle Football Club, keeping the playing surface in tip top condition. Being recognised for his work on the pitch and was awarded Groundsmen of the Year by the Essex County Football Association. Eric’s passion for football led him to take up administrative roles on the Management Committees of the Essex Olympian Football League and the Chelmsford Sunday Leagues. Leagues where Writtle Football Club plied their trade. He was Chairman and the driving force behind The Tom Farr Charity Shield, a pre-season tournament which ran for over 20 years and raised over £25,000 for local charities. He was also until recently, Chairman of the Bill Spurgeon Invitation Charity Cup for a number of years. It is without doubt that Mr Eric Gallacher has devoted many years of time to his sport especially to Writtle Football Club. Without volunteers such as Eric, Grass Route Football would not be the icon that football is in today’s society. MID ESSEX LEAGUE CUP FINALS all at Witham Town F.C. Div. 3 Beacon Hill Rovers F.C. v Kenson F.C. Div.2 Notley F.C. v Harold Hill F.C. Premier Division Silver End United F.C. v Emeronians F.C. 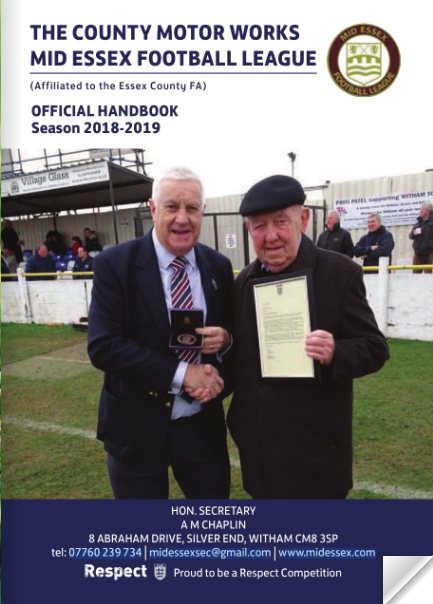 At last year's AGM we signalled our intentions to work in collaboration with the Mid Essex Football League to consider how we change the way we deliver the game across both competitions. The Management Committee of both competitions have now given their commitment to merge with effect from season 2020-2021. This is however subject to the approval of the Member Clubs. As you can imagine bringing together two long established competitions requires some very careful planning and also we need to comply with the rules and regulations as stipulated by the F.A. There has been considerable dialogue between both competitions during the current season. Whilst our aim was to try and achieve a merger from the start of the coming season, we recognise this is not going to be achieved given the amount of work that still needs to be undertaken between now and our respective AGM's. A proposed structure for what the combined competitions could look like has been drafted, which has been drawn up based on your feedback. This takes into consideration cost, travel and facilities. It will be our intention to release this prior this year's AGM in order to give Clubs time to consider our proposals and feedback comments so that we can ensure that the proposed structure presented at the AGM for season 2020-2021 meets with Clubs approval. The rationale for the merger has not changed from what we stated at last year's AGM as we need to work together to create a supportive structure, but also a different way in which to deliver the game to meet the needs and requirements of all our Member Clubs. We thank you for your continued support and trust you will enjoy what is left of the current season. 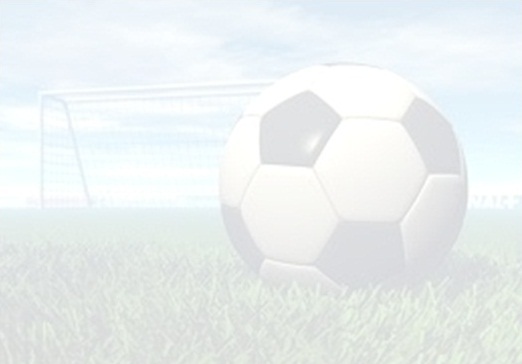 It is with regret that we need to advise that Dunmow Rhodes F.C. have withdrawn from the competition with immediate effect. Since the Club has fulfilled 75% of its fixtures the reaming games have been awarded. Witham Town F.C. and White Notley F.C. will again play host to our Cup Finals. An opportunity for any volunteer supporting grass pitch maintenance. The ECFA Regional Pitch Advisor Phil Jeggo will be hosting an evening at Maldon & Tiptree FC on Thursday 21st February at Maldon & Tiptree FC sharing his top tips around “in-season pitch maintenance”. The evening will include advice around restoring/preparing pitches for use and dealing with weather extremes – from flooding to droughts. For further details including the participant link to book on please see the flyer attached.